Join this free online course to learn and experience how the Internet of Things (IoT) works. If you’re interested in running an IoT project, learn how sensors and devices with intelligent software can support you to achieve your goals. What does the Internet of Things mean to you? We first asked this question with the course “Imagine IoT”, held in 2016. Since then, IoT has continued to evolve at a rapid pace, with even more IoT projects demonstrating what’s possible in a world of digitally connected and sensing things. And SAP has responded by announcing [SAP Leonardo], an innovation portfolio focused on this digital transformation. : https://www.sap.com/products/leonardo.html "EXTERNAL"
What does the Internet of Things mean to you? We first asked this question with the course “Imagine IoT”, held in 2016. Since then, IoT has continued to evolve at a rapid pace, with even more IoT projects demonstrating what’s possible in a world of digitally connected and sensing things. And SAP has responded by announcing SAP Leonardo, an innovation portfolio focused on this digital transformation. This course includes all new content concentrated on the latest IoT trends that shape our lives both at work and at home, including related topics such as drones, autonomous vehicles, blockchain, and user experience implications for IoT. Also included is an interactive exercise, enabling you to “touch” IoT directly. Every participant will have the chance to connect and try out SAP Connected Goods, a new SAP Leonardo IoT solution that makes it easy to connect and monitor sensor-equipped products. The course will enable you to participate in a “prototype challenge” in which you’ll get to submit an IoT prototype, receive peer feedback, vote on your favorite submitted prototypes, and have the chance to win prizes! The top 5 winners of the prototype challenge will win cool IoT gadgets. In addition, the top 200 winners will be showcased in a gallery, and will get to choose how SAP funds entrepreneurs in the developing world through the non-profit organization Kiva. We welcome you to participate in both the course and the prototype challenge. We hope that together, we can connect and empower not only things, but also people, as we work to create the Internet of GOOD Things to help improve the world around us. One final note: If you participated in “Imagine IoT” in 2016, this course is the next step in learning how to build and use the Internet of Things to make life better. If you didn’t participate in “Imagine IoT,” this course is just as applicable. It’s a self-contained, end-to-end, hands-on learning experience, including the new prototype challenge on how to design and create your own IoT prototype. Check out the gallery with the top 200 Submissions from the IoT Prototype Challenge, which took place from June 21 to July 20, 2017. There are no pre-requisites to this course so everyone is welcome to join. This course will use various SAP cloud products including BUILD. Any tools used are free of charge, and instructions will be provided. Please note: You’re welcome to participate in the course without “going hands-on”. However, by contributing practically, you can earn more points and will of course gain a fuller understanding of the scenarios covered. 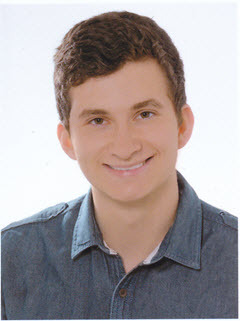 Jacob, member of the SAP Leonardo Connected Goods team, is part of the SAP Dual Studies program. He focuses on building exceptional and reliable software by using Clean Architecture and Code. Jacob was also part of creating the Connected Goods exercise in this course. He is a strong advocate of customer satisfaction through Continuous Delivery. This course was held from Jun 07, 2017 through Jul 27, 2017. This course was rated with 4.39 stars in average from 2343 votes. Ezra Gottheil is a Principal Analyst covering commercial IoT for Technology Business Research (TBR). He believes IoT underlies another wave of invention in the application of IT to business. Vernon Turner is a Senior Vice President of Enterprise Systems and IDC Fellow for The Internet of Things. He has helped drive research on the evolution of the Internet Of Things, has recently created IDC's leading Internet Of Things research domain, and is a member of the IoT World Forum Steering Committee. Timo is a Principal Designer in the IoT Leonardo team in Palo Alto. He is a strong advocate for the end-user and has a mobility-focused mindset. He designs interactive experiences that strive for clarity and elegance while ensuring reuse of components wherever possible. You can follow him on Twitter (@timohoyer) or connect with him on LinkedIn. Pascal Rauprecht is a Product Owner of the SAP Asset Intelligence Network. Together with the entire SAP AIN team he is establishing the backbone of IoT by helping manufacturers, operators and service provider to seamlessly share asset data through the cloud.